Wine Tasting at 6pm Featuring TYCOGA selections. 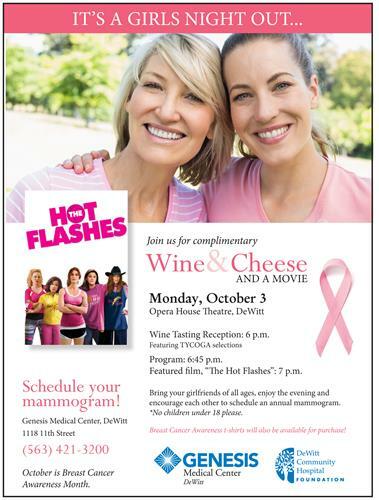 Program: 6:45pm Featured film, "Hot Flashes": 7pm. Bring your girlfriends, enjoy the evening and encourage each other to schedule an annual mammogram. No children under 18 years, please.